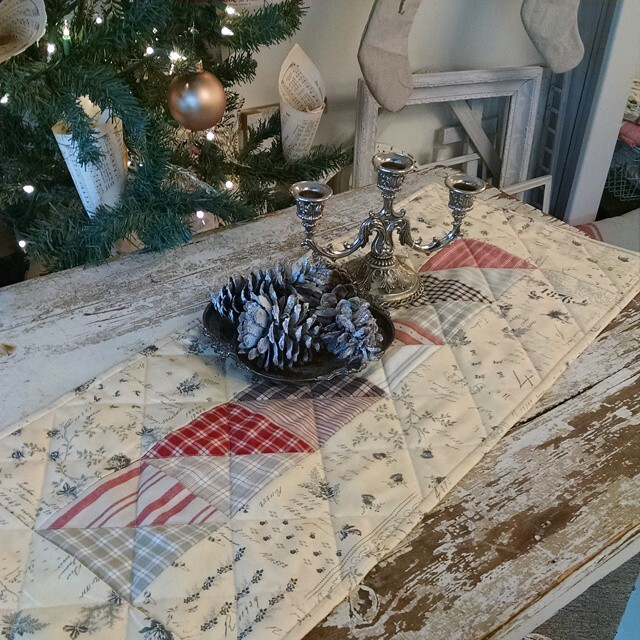 Hope you found time to join us for our Countryside TABleRuneR bonus project! your 6 half square triangles. 3–2 1/4 inch strips (piece these end to end for the binding) Piece the 24 1/2 inch strips to each side of the 6 half squares triangles. Piece the 12 1/2 inch rectangles to each end. 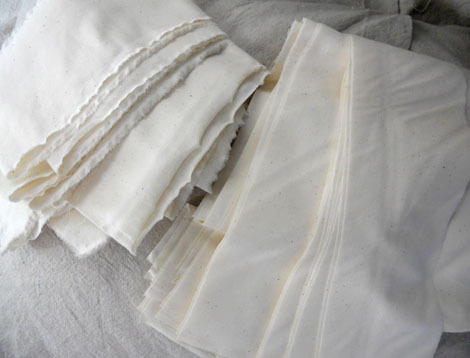 Now for the ruffle…piece the 4 inch ripped strips end to end and ruffle or gather one side. 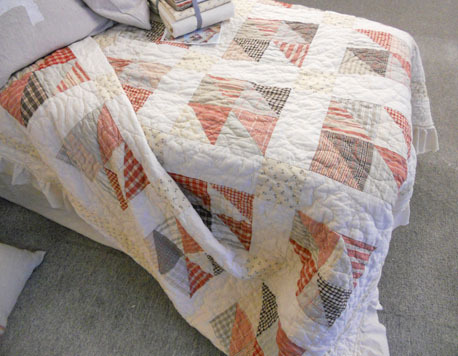 we opted to skip binding and just trimmed the quilt. 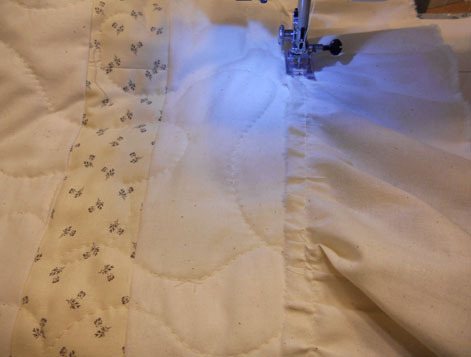 Lay ruffle on edge of quilt top and stitch down. run quilt through washer and dryer. 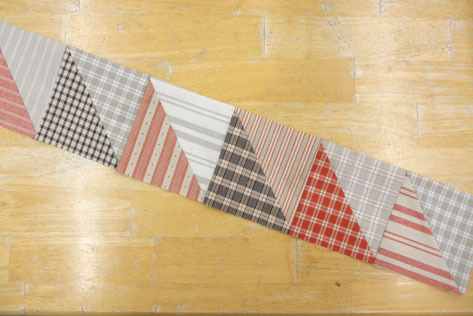 I’m sure you still have some of the half square triangles left from week 1. join us next week for a bonus table runner. 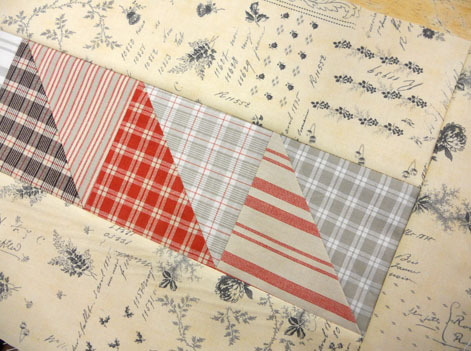 first the 1st and 3rd border fabric was cut in week 4.
cut 1 strip in half and piece together 4–4 x 64 inches for border 1.
piece together 4–4 x 87 inch strips for border 3.
piece together 4–4 x 87 inch strips for border 2. 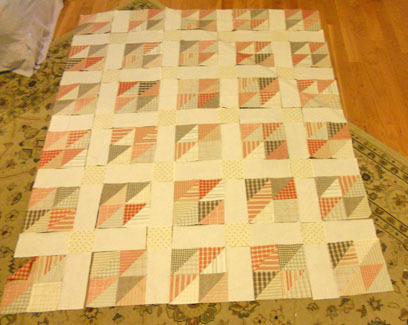 Piece borders starting with border 1. Piece to sides first then top and bottom. them move onto the next border. 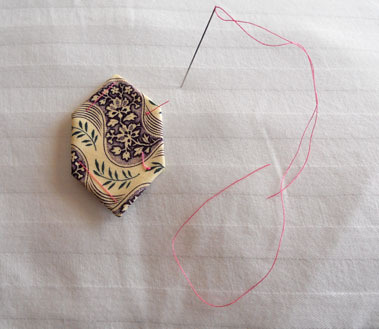 Today we are going to piece the center of the quilt. 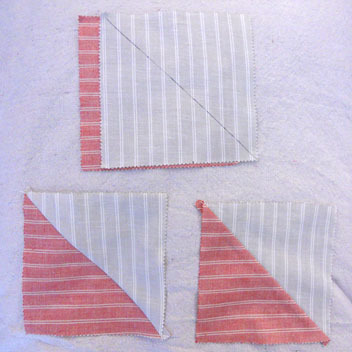 Layout blocks as follows…using the blocks pieced in week 2, cornerstones, and sashing squares. piece together rows then quilt center. Good afternoon! it is nice to see the snow melting…our January Thaw! If you are joining us today…be sure to page back to weeks 1, 2 and 3. 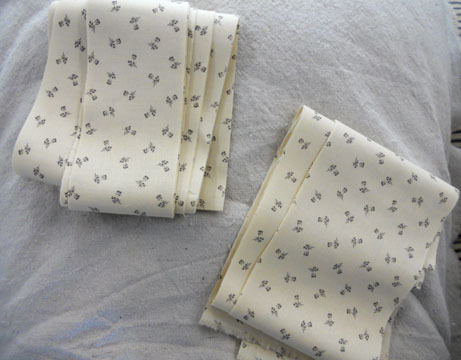 Since you probably decided on your cornerstones last week…this week we will be cutting the sashing and borders. 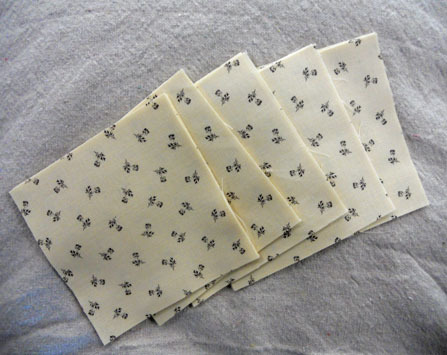 cut 10–4 inch strips into 49–4 x 8 1/2 inch rectangles. Good morning! January is just flying by–it is already half over for the most part. 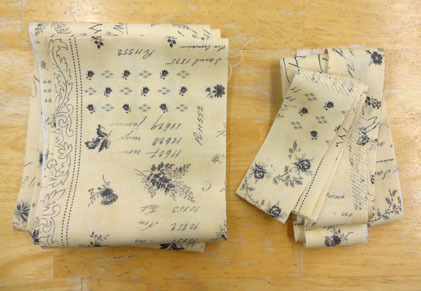 I am working on getting the patterns finished then we’ll have them available in the shop and online. If you are joining us today…be sure to page back to week 1 and week 2. Good afternoon! We hope you are having a wonderful 2015 and are spending these chilly days next to the fire with something warm to drink and a quilt to do…and maybe Netflix in the background. If you are joining us today…check out last week’s Countryside post for week 1. As for today…remember all those half square triangles you pieced last week…I’m sure it seemed like a million…it wasn’t I promise. join us next Tuesday for week 3. I wrote this last week… **I totally forgot about Lucy last Friday…hopefully I won’t forget this week. ** I totally forgot again last week…the New Year came and went so fast that before I knew it Sunday had arrived and I had skipped poor Lucy again. Well, I have almost 4 rows put together…it is looking so awesome, but more on that on Friday! 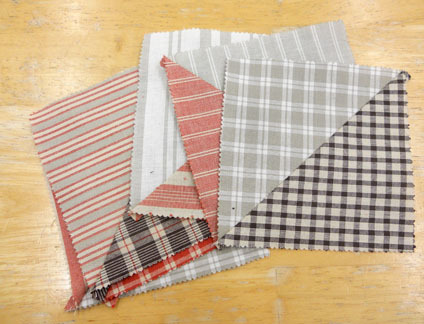 If you are using your own fabrics…check this post for the yardage requirements. 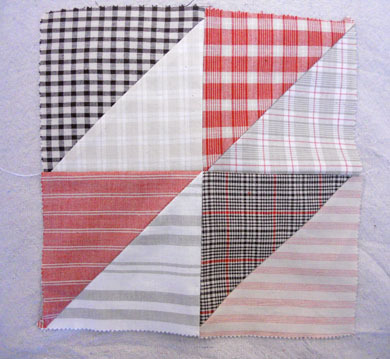 Today we start with the 5 inch squares…place 2 squares face to face and draw a line diagonally. 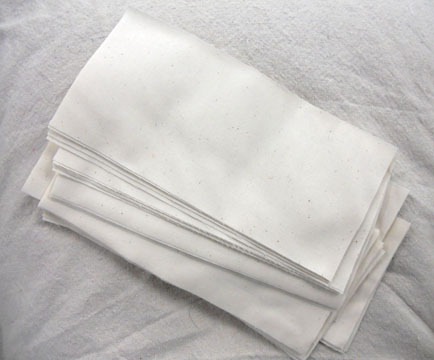 Sew a 1/4 inch seam down each side of the drawn line and cut on line. Press. Repeat using all the squares. join us next Tuesday for week 2. I totally forgot about Lucy last Friday…hopefully I won’t forget this week. 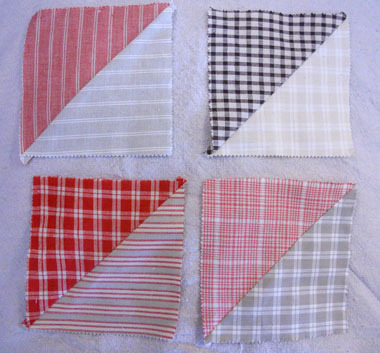 I’m sure you all just can’t wait to get started on the Countryside Quilt Along. I know we had planned to start today, however, with Christmas just a couple weeks away and everyone racing to get all their Christmas projects finished, trees decorated, and travel arrangements made, mom and I have decided to postpone the start of the Countryside Quilt Along until after Christmas. 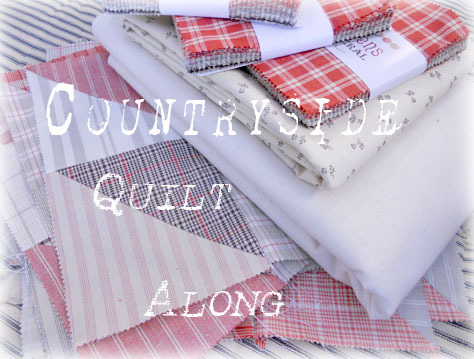 So join us on December 30th as we start our Countryside Quilt Along. 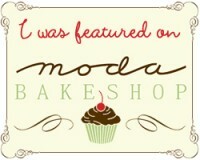 If you are interested in a kit for the project pop over to our etsy shoppe here…otherwise, we have them in store too! 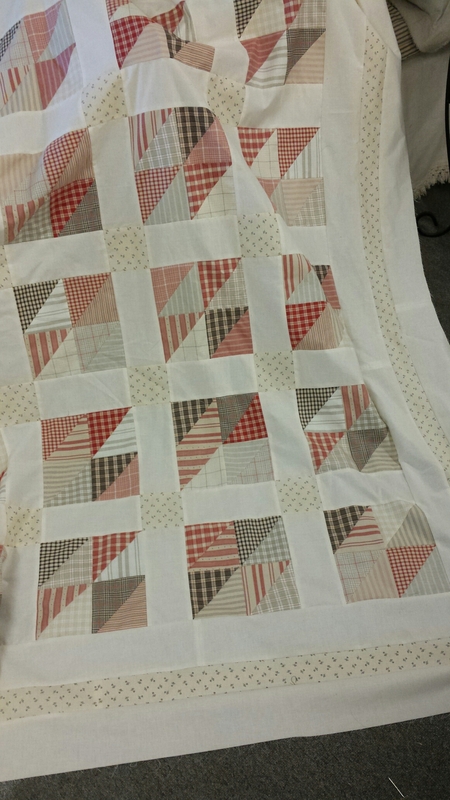 I will be quilting her after I finish up the stack of customer quilts…. I am working on a post of Christmas pictures and todays e-sweetie! 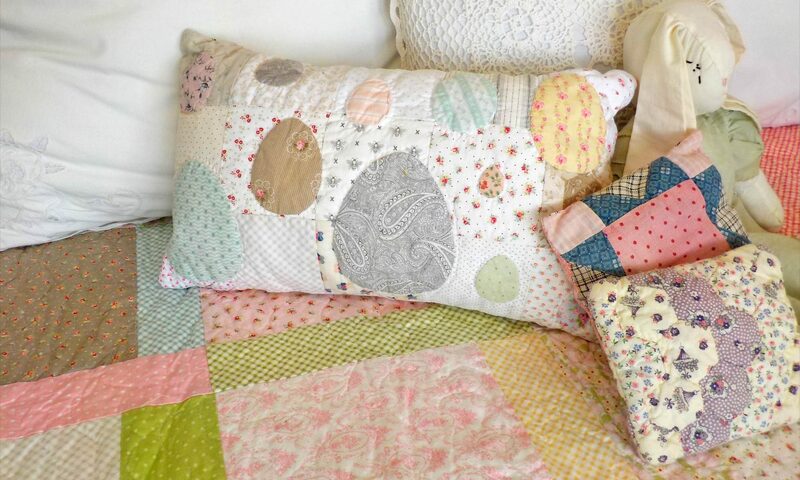 the quilt along will start on Tuesday, December 9th.